Click in the first cell you want to select and hold down Ctrl+Shift then use the arrow keys to select the columns or rows you desire. CTRL+SHIFT (CONTROL) is a powerful, yet simple keyboard shortcut to increase your productivity times and get you using Microsoft Excel like a pro. Follow along and once you master this little technique you’ll be speeding up your Excel tasks with confidence and ease. 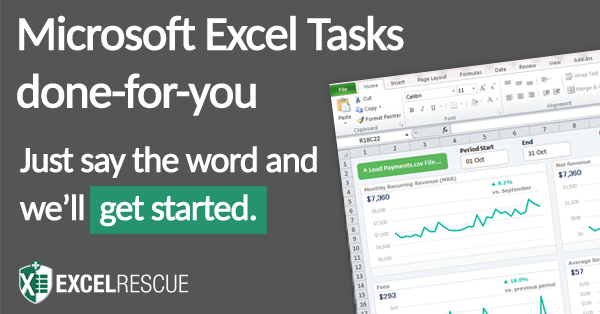 Learning little tips and keyboard shortcuts can drastically speed up the time it takes you to get things done with Excel. Instead of using the mouse and dragging the cursor to select your data-set, a quicker solution is to use CTRL+SHIFT. Click in the first cell you want to select; hold down CTRL+Shift, then press either the down arrow to get all the data in the column below, the up arrow to get all the data above, or choose the left or right arrow to get everything in the row (to the left or right). The cool thing with this, is that it will only select cells that contain data. If you combine the selection options, you can use these simple keyboard shortcuts to select a whole column, followed by everything in the rows left or right. You can also use Ctrl+Shift+End, which makes the cursor jump to the lowest right-hand cell containing data, selecting everything in between. An even faster option is to use: Ctrl+Shift+* (asterisk), which will act like a wildcard and select the whole data set no matter what cell is selected. To select a row, use Shift + Space. To select a column, use CTRL + Space. Once you have a row or column selected, you can hold down the shift key and extend the selection by using the relevant arrow keys. For example, if the cursor is in row 20 and you press Shift + Space, row 20 will then be selected. CTRL+SHIFT can also be used when moving objects, such as straight lines or shapes around in your Excel dashboard. Using this keyboard combination keeps the object aligned and stops it shifting into the wrong position. Disclosure: This post may contain affiliate links, which means we may receive a commission if you click a link and purchase something that we have recommended. Clicking these links won’t cost you any extra money. Thank you for your support!